Newport Coast is a community that is part of the City of Newport Beach. It is located between another Newport Beach community, Corona Del Mar, and the City of Laguna Beach. Its initial master plan was laid out in the 1990s. Over the years it has developed to become the most luxurious neighborhood in the area. The community as European Riviera inspired planning starting from casual to the beautiful the modern homes. It is perhaps the most beautiful community in Orange County California. The location on the hillside overlooking the Pacific Ocean provides some of the most breathtaking views in the world. The views are indeed wonderful and it covers such areas like the Pacific Ocean, Newport Beach, Catalina Island, as well as the Newport Coastline. The shining City Night Lights, and wonderful sunsets, in addition to wonderful recreational activities, compliment these. Newport architecture is dominated by the Spanish and Mediterranean architecture. It also includes other great architectural styles like the Santa Barbara and Tuscan styles. All these are great and it shows that there are great choices to make. There are different areas to choose from if you are looking for a luxury estate property. The most prominent among them includes those gated neighborhood in the Pelican Hill and the prestigious Crystal Cove. Of course, it is the dream of many people to acquire homes within the Pelican Hill neighborhood because of its proximity to the Pelican Hill Spa and Gold Course and the Pelican Hill Resort, which have won an award of excellence. Both Golf Resort and Spa located in Pelican Hill are outstanding places in California as they standout as the best. Conde Nast awarded them the best Golf Course and the Best Spa in California in 2012. Pelican Hill in Newport Coast has five outstanding neighborhoods. These outstanding neighborhoods include Pelican Ridge Estates, Pelican Hill, Pelican Crest, as well as Pelican Heights, and of course the famous Pelican Ridge. Crystal Cove also has interesting neighborhoods, which are Seabourn, the Strand, Seascape, the Nautilus, Tides, as well as the White Sails. This is a wonderful place to visit, because of the expansive views, which can stretch to Catalina Island in the distance. Many like it because it is located on top of the hill. Canyon Club is a recreational center located in the area. Crystal Cove is included in the Laguna Beach Unified School District. It has schools for elementary, middle, as well as high school. The elementary school is known as the EL Morro Elementary, as well as the Thurston Middle School, and high school including the Laguna Beach High School. 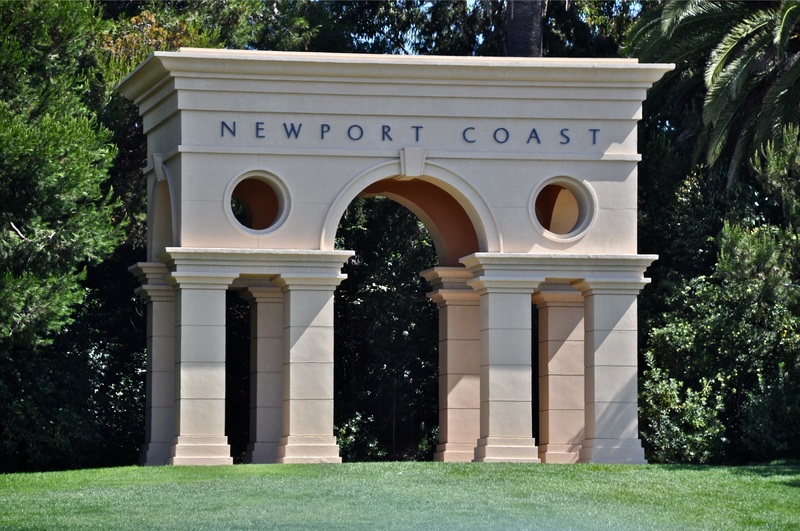 There are other interesting communities that make Newport a lively place to live, and some of these communities are the Campobello, Newport Ridge, Ocean Height, Rivage, as well as Pienza and several others. Newport Coast students attend the prestigious and award-winning Mesa Unified Schools. In addition to that, they can attend the Corona del Mar Intermediate and high school. The residents can also attend the Newport Coast Elementary school. contains six communities consisting of Aubergine, Montserrate, Provence, Rivage, St. Michel and Ziani. communities of Perazul, Cassis and Strada. Crystal Cove Sea Point, Crystal Cove Sea Crest, Nautilus, Oceana, Seabourn, Seacape, The Strand, The Tides, Watermark, White Sails and Windward.